Note-taking is a skill that is often not given the attention it deserves. 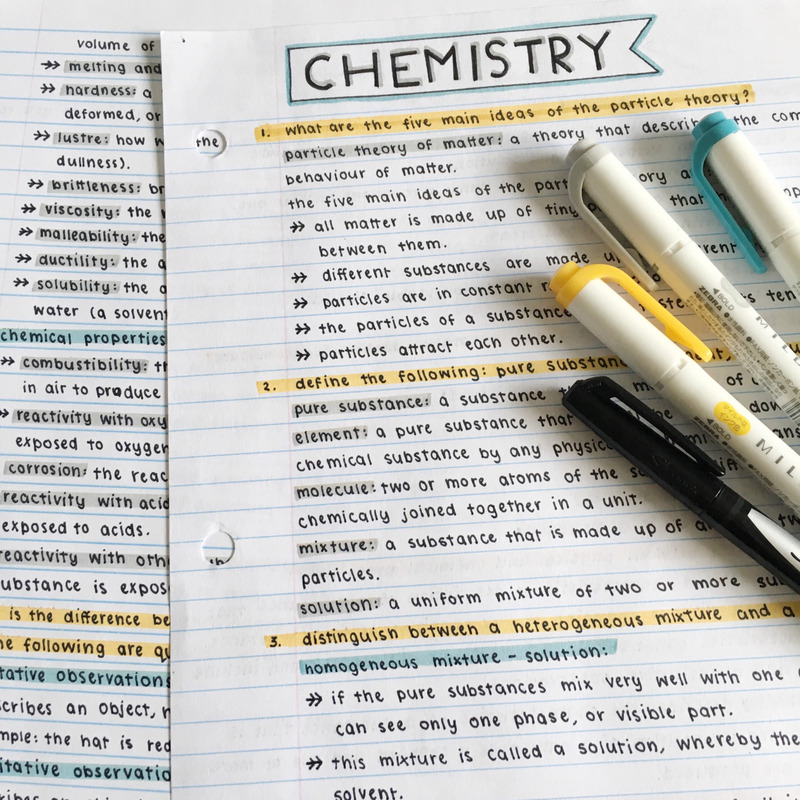 Your notes are the backbone of your study; they summarise your learning, they inform your revision, they provide the context within which you can relate the things you have been taught. Good study notes make study quicker, easier, and more effective. The very act of taking notes in class already benefits your learning, and the process of organising them is study. Here we will go through how to take notes in class, how to organise your notes and how to write good notes that will help you with your study down the track. Why take notes in class? There are two benefits to taking class notes. One of these benefits is apparent: how many classes do you have each day? Each class throws information at you, information that you need to know. What your teacher tells you in English class might make perfect sense at the time, but how much of this will you remember after you've sat through a History class, and then a Maths class, and then a Science class? The amount of information you pick up each day is huge; having a page or two of notes as a reminder of what was discussed is a great aid to the memory. The second benefit is more subtle. By taking notes in class you are having to think about what you're learning, analyse it and decide which bits to write down. You're cataloguing the information, comparing it to the knowledge you already have, considering it in the context of the topic you are studying, and evaluating it for importance. The very act of using a pen to write words on paper makes our memory of those words stronger. 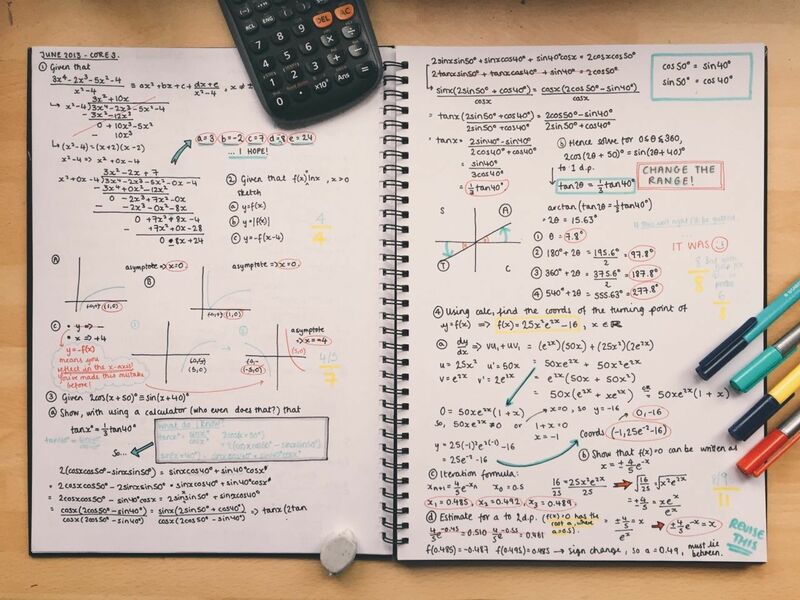 Even if you never convert your class notes into study notes, the process of taking notes enhances both the memory and the learning experience. The very first step in creating a database of good study notes is taking notes in class. Taking notes seems like something that should be fairly easy, and it is, if you know what makes class notes good. Class notes do not need to be perfect. Your study notes are going to be well organised, ultimately, but at this stage the most important thing is to just write down anything you think might turn out to be important. You're not transcribing your teacher; you don't need complete sentences, you don't need everything in order. You can cross things out, use arrows to crudely link things on different parts of the page, leave notes for yourself to look something up later, circle and underline things to make them stand out. Maybe your teacher spends a few minutes explaining something you already know; you don't need to note that, or maybe note it but don't spend much time on it right now. Or maybe your teacher skims over something you don't quite get; definitely make a note of that, so you know to ask them about it later. Your notes need to be legible to you, and they need to mean something to you, and they need to highlight what's most important to you; focus on that. Ultimately you are going to make actual study notes. They're going to be informed by these class notes but, as we'll discuss in a later blog, you can't make a good overview of a topic you've not yet finished learning, so these class notes are only temporary. When you're making them, keep that in mind. You don't need to polish them, you don't need to think of them in terms of being comprehensive summaries of the unit of study. Think of your class notes more like the planning stage of your study notes. Each night you should spend just a little time reviewing the notes you took that day. Read over them; do they still make sense? Are there any extra notes you need to add, to clarify them? Do you have additional thoughts about something now that the class is over? If something no longer makes sense, note that down - that's something you need to listen out for next class, investigate now, or perhaps discuss with your teacher or a tutor. If you're going through your class notes and need help understanding an area or concept, connect with a subject specialist now to get expert help.